I wanted to extend my thanks to you for writing such an in depth book about the dynamics of Major League Baseball. As a former college baseball coach looking to get into scouting/baseball op’s I appreciated your insight on the variety of roles within a baseball department. Your stories, questions asked, information, and advice will be with me for the rest of my career. I started reading your book this week and the information is excellent. I’m selfish in saying this but thank you for sharing all your advice to someone like me who is looking to break into baseball. Great read for “real insight” behind the scenes. It details the ins and outs, along with the do’s and dont’s on what it takes to get in the game. 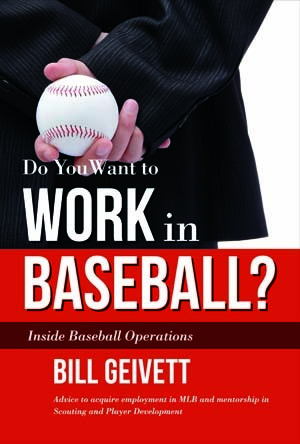 A great baseball book that is in depth and detailed oriented about baseball op’s. Even if you are in baseball now at any level, you are sure to get first hand knowledge from this book. Whether you are a coach, a player or just getting looking to get your toe in the door this is a “MUST READ”!